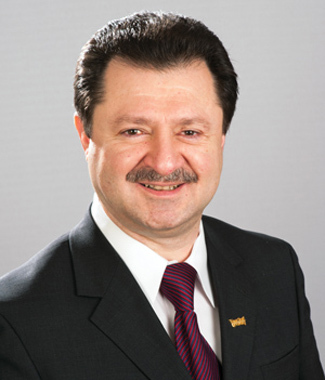 Dr. Gelovani’s clinical training has been in neurology, neurosurgery, neurotraumatology and neuroimaging. During the course of his career, he has served as a neurology and neuroimaging consultant in obstetrics and gynecology and neonatology. Dr. Gelovani is the pioneer of molecular-genetic in vivo imaging. His research interests include molecular PET imaging of cancer and the central nervous system using newly developed radiotracers, genomics and proteomics for cancer therapy, adoptive immunotherapy and regenerative stem cell therapies. He holds more than 15 patents, has published more than 160 papers and book chapters, and edited a major book in molecular imaging in oncology. Additionally, several diagnostic imaging compounds he developed are currently in clinical trials in cancer patients. Bennett JJ, Tjuvajev J (Gelovani), Johnson P, Doubrovin M, Akhurst T, Malholtra S, Hackman T, Balatoni J, Finn R, Larson SM, Federoff H, Blasberg R, Fong Y. (2001) Positron emission tomography imaging for herpes virus infection: Implications for oncolytic viral treatments of cancer. Nat Med 7:859-63. Blasberg R, Tjuvajev J (Gelovani J). (2003) Molecular-genetic imaging: current and future perspectives. J Clin Invest 111:1620-1629. PMCID: PMC156118Hajitou A, Trepel M, Lilley CE, Soghomonyan S, Alauddin MM, Marini FC 3rd, Restel BH, Ozawa MG, Moya CA, Rangel R, Sun Y, Zaoui K, Schmidt M, von Kalle C, Weitzman MD, Gelovani JG, Pasqualini R, Arap W. (2006) A hybrid vector for ligand-directed tumor targeting and molecular imaging. Cell 125(2):385-98.